New events added under our EVENTS tab! Go check out our upcoming events and sign-up for ALL of them! 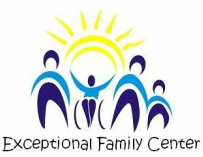 Welcome to Exceptional Family Center, where we are committed to helping families and Individual with Intellectual and/or Developmental Disabilities (I/DD) find programs and services that meet their needs. To celebrate the success of families and their children with an Intellectual and/or Developmental Disability (I/DD) through collaboration, education, empowerment, and mutual support. At Exceptional Family Center, we provide families with various programs and services to help them and their children reach their full potential. 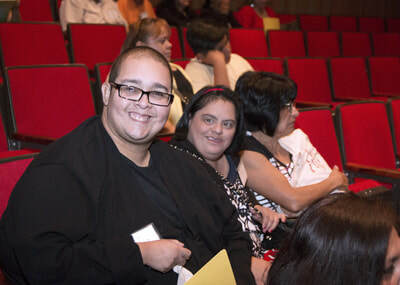 Our goal is to educate and empower families so that they can help their family members with a developmental disability reach positive life outcomes. We encourage families to get involved with Exceptional Family Center and explore the possibilities that are available for them and their children. "Celebrating Success, one family at a time"